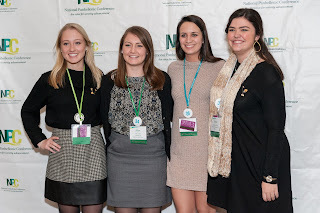 Starting the National Panhellenic Conference (NPC) awards process can seem daunting at first, but it doesn’t have to be! Use these easy tips to make it easier. Start early. Don’t leave the questions until the last minute or until your classes are over. It is much more efficient to do this while your executive board is still together to confer and bounce ideas off each other. Break up the awards packet into sections based on executive board positions. For example, your vice president of programming can prepare information for the programming section, the president can fill out the communication with NPC area advisor section, and the recruitment officer can write up the details for the recruitment section. Having other officers provide what they know best takes the responsibility to do everything off the president, and it makes sense to have each position write about their contributions. Write everything down. While that Sunday afternoon program about landing an internship might not seem like a big deal at the time, it is! Your council is doing great things and deserves to be recognized. So, even if it seems like a small program or even if attendance is low, write it down anyway. Pay attention to the due dates and set your own. Don’t fill out every question in the awards packet only to realize that you’ve missed the deadline! Pay attention to that June 1 date and make sure you have everything finished beforehand. It is also helpful to set an earlier date for your executive board to fill out each section. If the president or another member of the board is reviewing it, she’ll need at least a week for that process. Have fun! You’re doing great things as a College Panhellenic council. This is your time to sit down and pat yourselves on the back. It should be an exciting time to reflect on the year your council has had and hopefully be rewarded for it. At age 90, my role model and mentor continues to provide volunteer service to her community, church and sorority. A dedicated and selfless volunteer for well over 70 years with humble beginnings in eastern Montana, she can still be found distributing lunches to small children, butter and cheese to seniors, and coffee on Sunday morning to parishioners. She is … my mom. Scientific studies have shown that individuals who volunteer enjoy both physiological and physical health benefits including greater satisfaction, improved sense of belonging, lower blood pressure and decreased mortality. More than 62 million Americans — one quarter of the adult population — contribute approximately 8 billion hours yearly to causes close to their hearts. In honor and celebration of the many people who generously give of their time and resources, April is designated National Volunteer Month and April 23-29 National Volunteer Week, specifically. National Volunteer Week has a history in Canada dating back to World War II, when women were celebrated for their part in supporting the war effort on the home front. In 1974, then U.S. President Richard Nixon signed a Presidential Proclamation establishing National Volunteer Week. Annually, the sitting president issues a special proclamation in honor of volunteers. Ruth Colvin, Kappa Delta Sorority, founder of the Literacy Volunteers of America, now part of ProLiteracy. Nancy Brinker, Alpha Epsilon Phi Sorority, founder of the Susan G. Komen Foundation. Ginny Carroll, Alpha Xi Delta Fraternity, founder of the Circle of Sisterhood. Volunteer service is at the heart of the sorority membership experience. 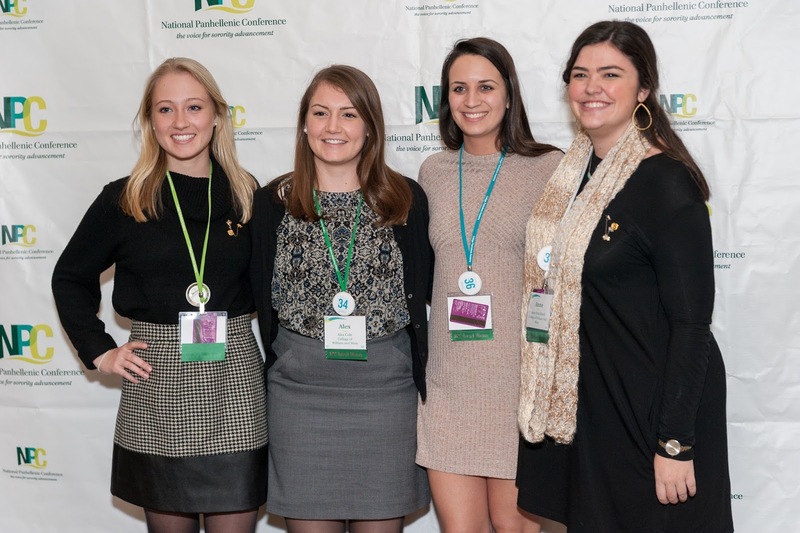 In 2015-16 collectively, the 26 inter/national NPC sororities reported nearly 3 million hours of member volunteer service in support of nonprofit organizations. To operate their organizations, a volunteer base of approximately 46,000 women work daily in partnership with professional staffs to support the sororities and their members. The opportunities are countless for women, and the contributions made are immeasurable in terms of economic impact and resources. Thank you to all who volunteer from 90 to 19 and younger. Consider the possibilities within your community to seek out ways to engage, step up, share your skills and experience the satisfaction of volunteering to make a difference.